UK lo-fi two-piece FURROW return to Bleeding Gold with a new digital single in preparation for their debut 12″ – titled “West Felton” – due out later this Fall. This single features 2 new songs recorded and mixed by the band and mastered by Mark Jasper (Witching Waves) at London’s Sound Savers studio. Download the new tracks here or if you prefer iTunes, here. Stay tuned for more news on the release of ‘West Felton’ in the coming months. 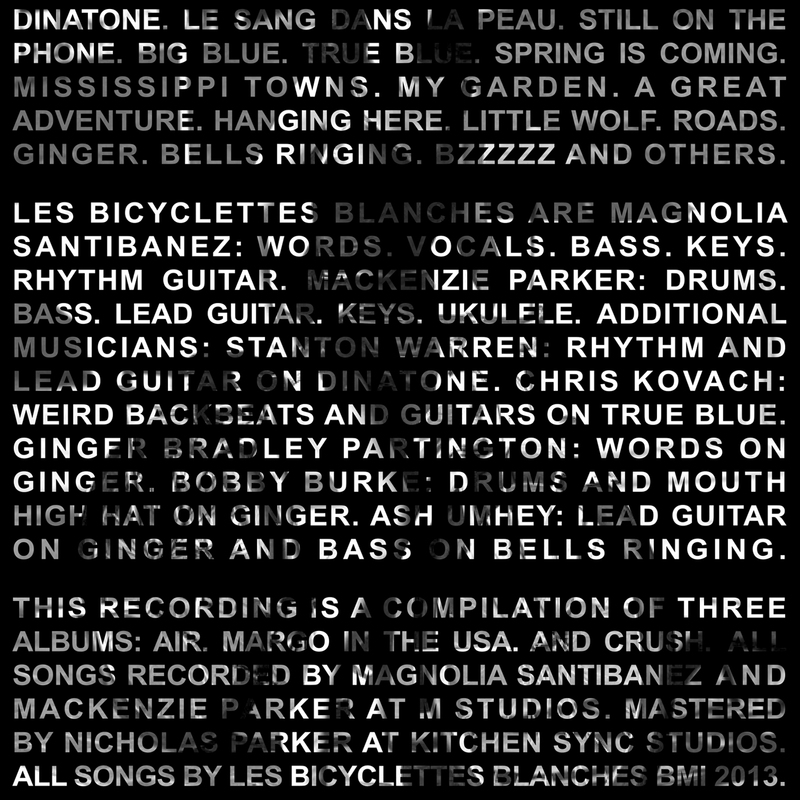 We welcome les bicyclettes blanches to the Bleeding Gold family with this 15 track compilation of dizzyingly lo-fi art-punk. New stuff coming later this year! !